4k00:07An emerald cockroach wasp crawling into a rotten wood. The emerald cockroach wasp or jewel wasp is a solitary wasp of the family Ampulicidae. 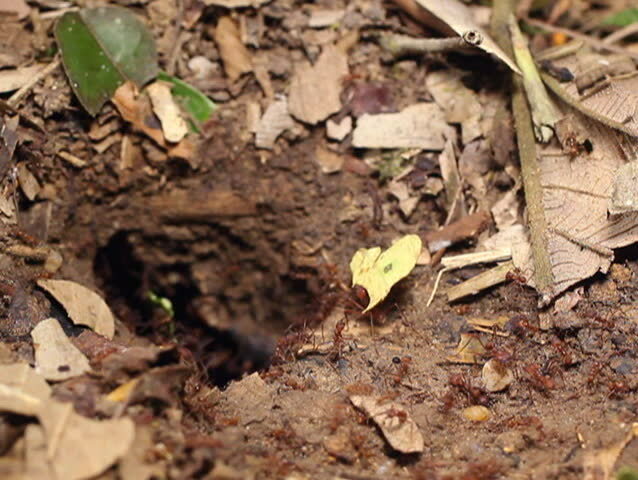 sd00:11Ants moving across the rough bark of a tree.